Do you remember your first love? Unless you are still with them, it most likely ended in heartache. One couple knows this feeling all too well. When they were in college in 1961, Janice and Prentiss fell in love. It all happened fast but they knew they wanted to be together forever. They got engaged and wanted to be married! But Janice’s father had other plans. He forbid the two from seeing each other or he would cut off her tuition. There, in college, they ended their relationship. They both went on to live their lives separately. Though they never lost the love for each other they both married other people. But fate wouldn’t let those last. Years later, Tom found the newspaper clipping from their engagement in his mother’s belongings. Janice found the same clipping in her mother’s things. They both kept it. Unlike Janice’s father, their mothers knew they should be together. This was a beautiful, clear sign they were meant for each other. Decades after they parted, they ran into each other and the rest is history. They never stopped thinking about or loving each other. 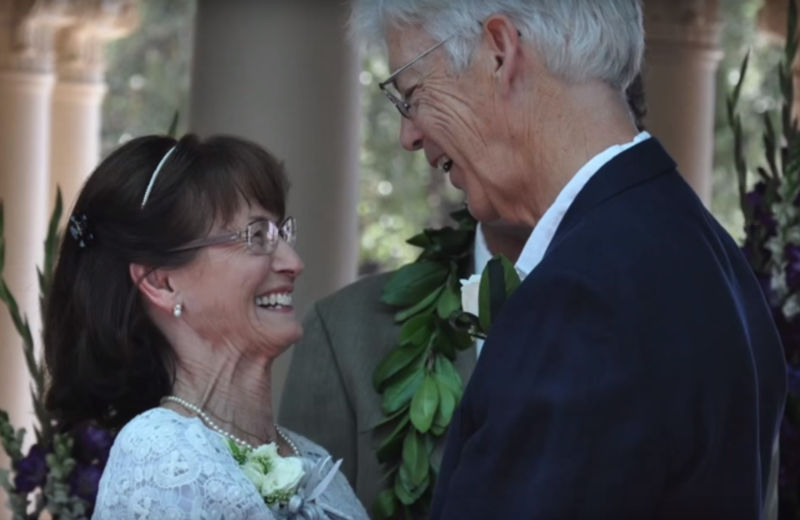 Now both age 71, 50 years after they met, they finally got married. Like the famous saying goes, “It’s better late than never!” They weren’t wasting any more years, they are going to make the most of their time together. “We are so happy. Our marriage is perfect. Of course we have few years to live it, but it will be perfect,” Janice explains of their new life together.